Click here to read more and download a presentation of all findings. . . .
Ornico and Financial Mail, along with a panel of advertising and marketing thought leaders, will analyse advertising in South Africa’s financial services industry at the upcoming AdForum on 29 March 2019, at the Houghton Golf Club. Ornico research for the periods from 1 November 2017 to 31 January in 2018, compared to 1 November 2018 up to 31 January 2019 shows a decrease in advertising spend among top banks. Click here to read more about advertising trends in banking and joins us for more insights. 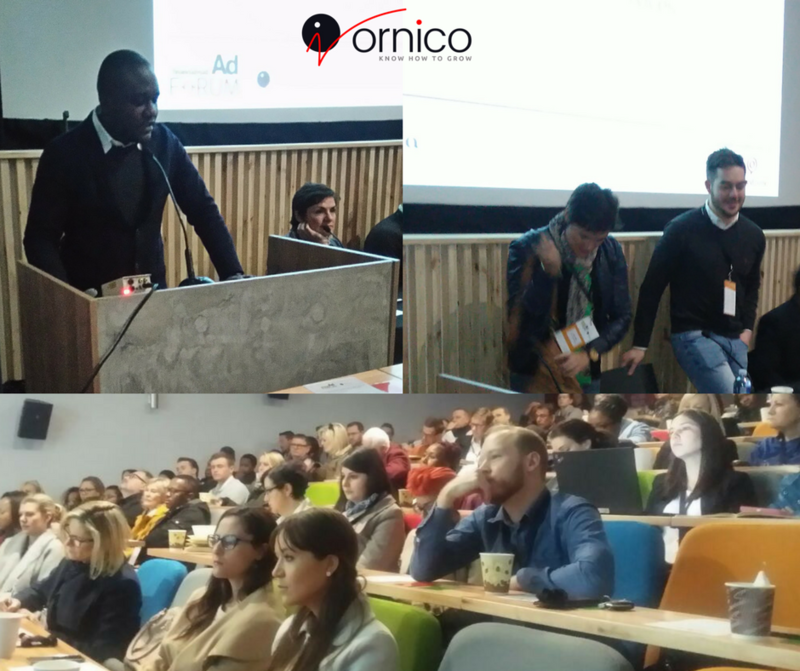 Click here to read more and download the full report. . . . . . . .
South Africa, 5 February 2019 – Radio advertising event data in South Africa is set to be revolutionised by new data from Brand IntelligenceTM firm, Ornico, now being made available through software provider, Telmar. Telmar, long a staple of the advertising media planning landscape, will introduce additional software for radio post campaign data. The radio event data, based on broadcast schedules, will now be supplemented by the Ornico data which is human verified, making the data much more accurate. Ornico is very proud to have contributed to this brilliant resource! Please download your copy here! 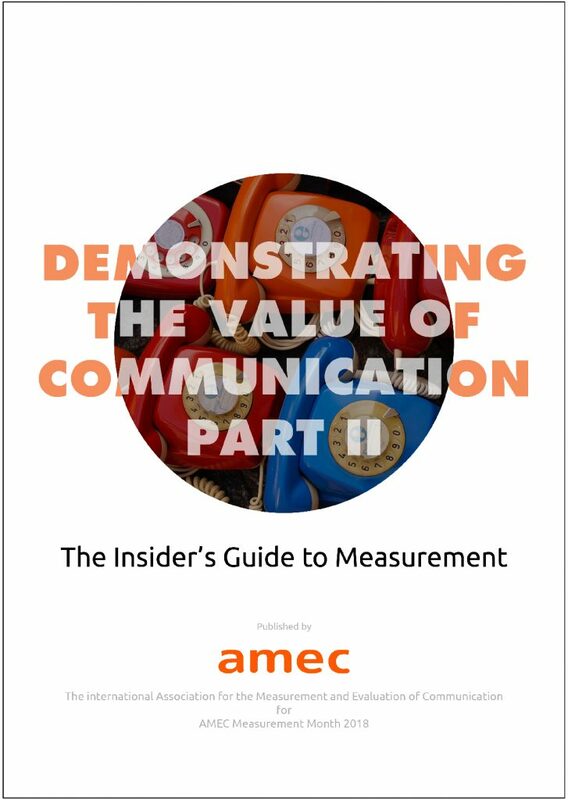 The International Association for the Measurement and Evaluation of Communication (AMEC) will be hosting its fifth annual “Measurement Month” during November 2018. This initiative, which sees many events across the globe, aims to educate communication and public relations practitioners about the latest best-practices in measuring the effectiveness of their communication and PR campaigns. Ornico, the media intelligence company, will host a free Measurement Month breakfast workshop on Friday, 23 November 2018 in Johannesburg. The discussions will include the Barcelona Principles 2.0, The Integrated Evaluation Framework, the launch of the Measurement Maturity Mapper, global trends and will also feature various case studies of best practices from across the world. Click here to read more and join us for a free breakfast workshop. . . . The SA Social Media Landscape Briefings taking place in Johannesburg on 16 October 2018 and Cape Town on 18 October 2018. These very popular events see the country’s top social media experts discussing the top level findings of the Social Media Landscape 2019 research, as well as the latest trends and developments in social media. Women’s Month in South Africa raises many pertinent issues from gender-based violence, empowerment and whether women are represented fairly in all spheres of society. This year was no different with #TotalShutdown marches taking place across the country on 1 August where women from all walks of life took to the streets to make their collective voice heard. Media research and analysis shows over 1 800 media mentions of Women’s Month from print, broadcast and online sources, which includes mentions of various events and related conversations. Social media, with Twitter as the primary and most vocal platform, took the lead in the number of conversations analysed. The mentions of Women’s Month and topics relating to Women’s Day were just over 90 000 in total. 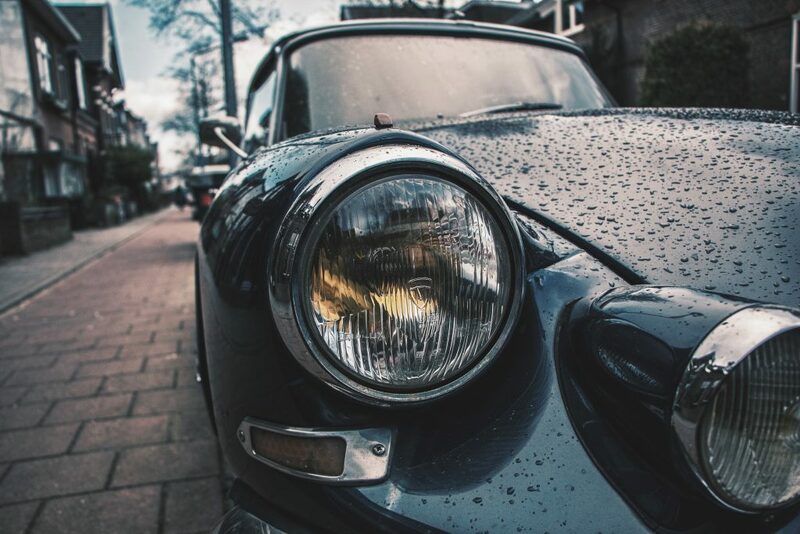 In the midst of South Africa’s technical recession, the automotive industry showed a 2,2% drop in the second quarter of 2018 according to Statistics South Africa. Motor vehicle manufacturers and dealerships, on the other hand, gradually shift their advertising strategies to increase visibility among key audiences by advertising on more channels and increasing engagement across the web. Ornico and Financial Mail will analyse the trends and what they mean, alongside a panel of industry experts at the upcoming Financial Mail AdForum on 12 October 2018. Comparing advertising spend from 1 June to 31 August in 2017 and the same period in 2018, figures showed an increase in television commercials for most of the leading vehicle brands. 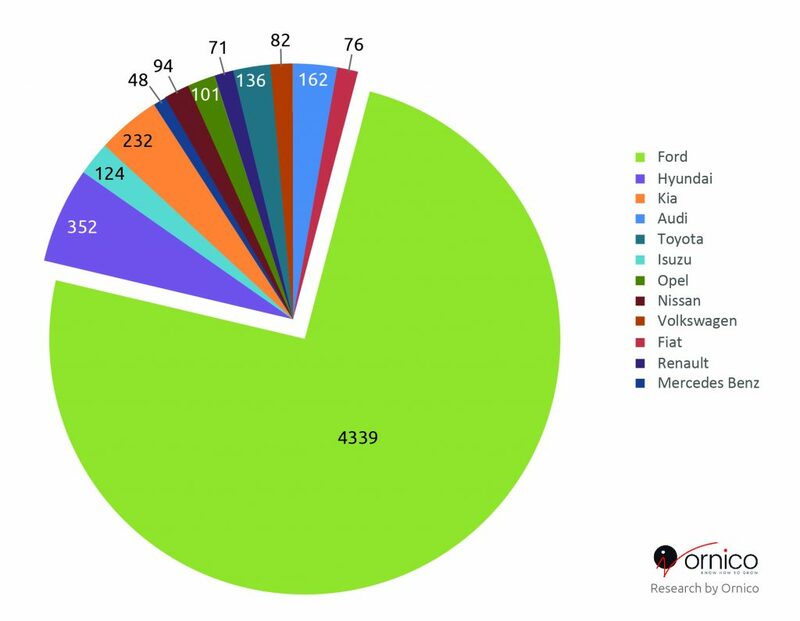 Data reveals that in 2017 the automotive sector spent over R328-million on TV ads which increased to over R412-million in 2018. Click here to read more. . . . . 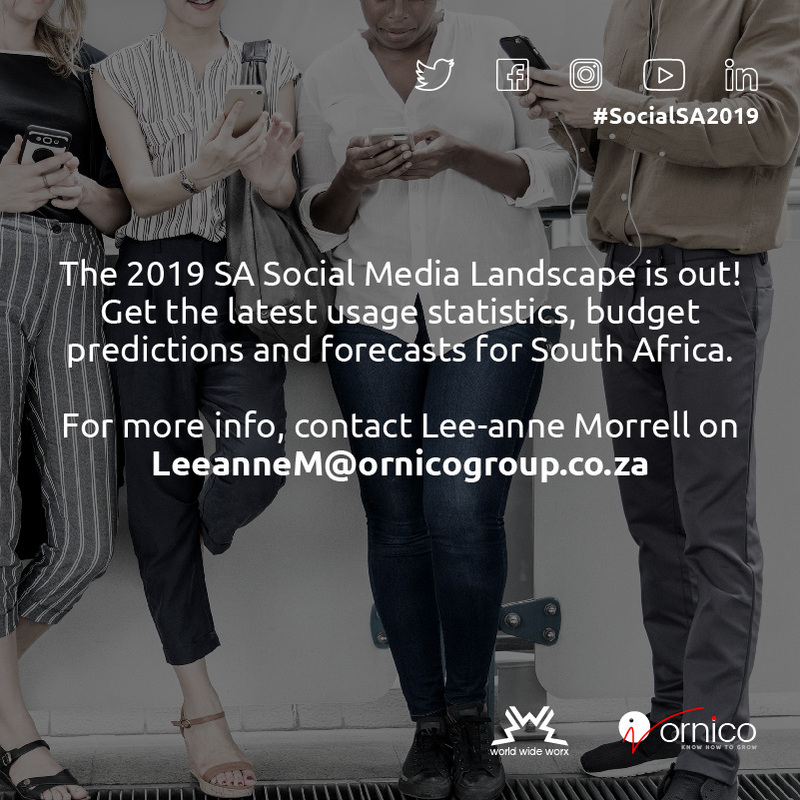 Participate in the SA Social Media Landscape 2019 Survey, shape the future of social media and digital marketing and get R2 000 in discounts for insights. As a respondent you will receive a free copy of the executive summary of the 2019 Social Media Landscape. 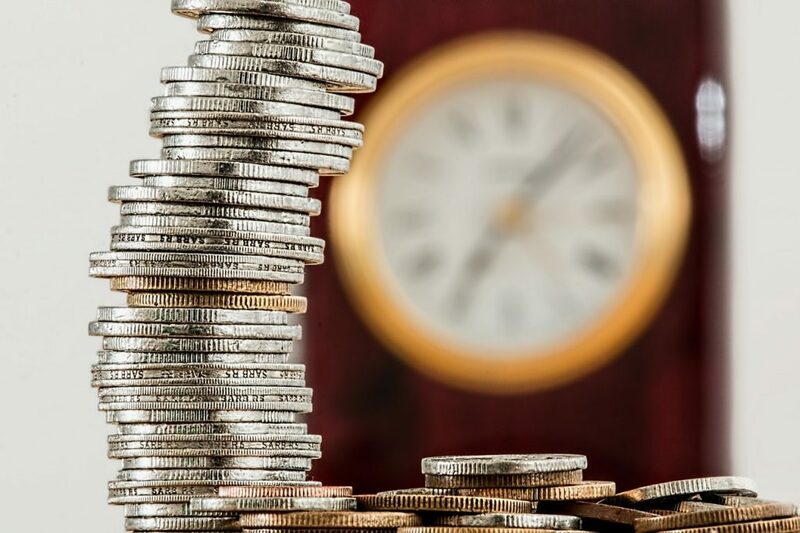 Click here to learn more. . . .
Financial services is one of the most competitive industries in SA, with players across the board working to win a share of voice from their peers. The consumer banking industry, with digital at the forefront for most urban consumers, is showing greater innovation, with people opting for self-service banking solutions instead of visiting branches. According to the SA Reserve Bank (SARB) supervision report for 2017 total banking sector assets increased from R4.88 trillion in December 2016 to R5.16 trillion at the end of last year. Advertisers globally are increasingly calling for independent auditing and verification of their marketing campaigns. 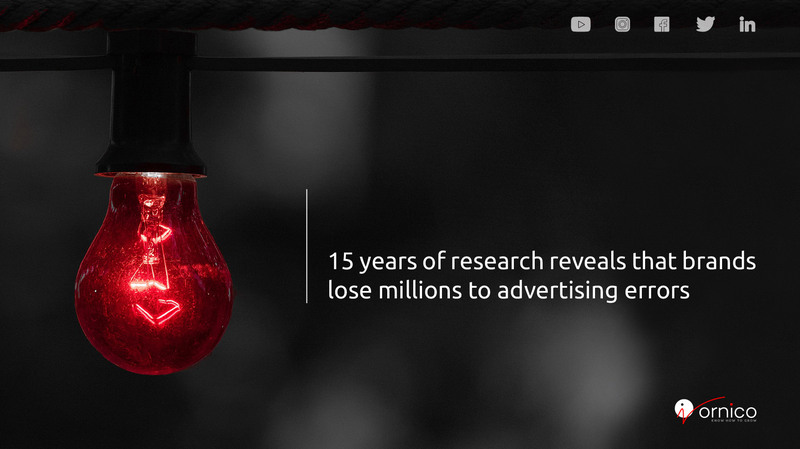 Though research by Ornico, the Brand Intelligence® company, shows an improvement in advertising schedule error rates, millions of advertising spend are still being lost due to poor or no auditing of campaigns. In 2011 recorded errors ranged between 5% – 15%, depending on specific mainstream television channels. By 2016 the average error rate recorded was around 5%, marginally improving to 4% for 2017 – once again campaign and channel dependent. Click here to learn more. . . . . . 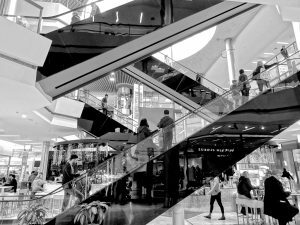 Both consumer and business spend is more cautious during recessions and slowing economies, which in turn affects communication in an already price-sensitive market, says Ornico marketing manager Mongezi Mtati. October’s Financial Mail AdForum, in association with Ornico, will review recently flighted retail commercials from Checkers, Clicks, CNA, Game, Makro, Pick n Pay, Shoprite, Spar and Woolworths on October 13 at Vega School in Johannesburg. A major global initiative has been launched by the International Association for Measurement and Evaluation of Communication (AMEC) and other industry bodies to eradicate the use of Advertising Value Equivalents (or AVEs) in modern public relations. Used since the 1940s by public relations practitioners to calculate the “value” of their communication, many professionals have considered this flawed metric to undermine and discredit the communication industry. AVEs have long been the subject of intense criticism but because they claim to put a financial value equivalency on PR and communication work, and are easy to produce, there is still a lingering demand from some quarters of the communication profession. Learn more and register here…. Everything you’ve ever wanted to know about South African brands on Twitter, Facebook, LinkedIn, YouTube, Instagram. The South African Social Media Landscape Report 2018 contains everything brands need to know to successfully navigate social. Marketers, brand owners, public relations professionals, entrepreneurs, agency owners, strategists, Chief Marketing Officers and social media professionals will value this report. Please click here to read more and to participate. The latest Financial Mail AdForum event, in association with Ornico, will be held on August 25 at the Vega School in Johannesburg and will focus on the communications and advertising trends in the telecommunications industry on the African continent. 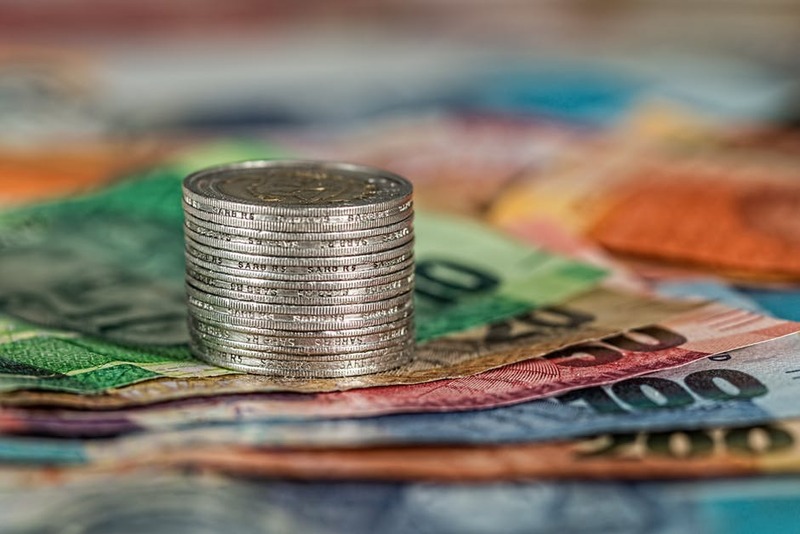 Ornico, Financial Mail and an expert panel will review whether consumers’ price sensitivity, together with the advent of SA’s recession on the back of recent economic downgrades, has affected the telecommunications industry’s adspend. Telecommunications is one of the most highly competitive industries in Africa, and service providers from across the continent are in stiff competition for market share in this mobile-first audience. Given the prevalence of mobile on the continent, the degree of innovation and development within the mobile space is not surprising. A report by GSMA entitled “The Mobile Economy: Africa 2016” reveals that mobile technologies and services generated 6.7% of GDP in 2015, which amounts to around US$150bn of economic value. Read more. . . . . .
5G Empowering Vertical Industries predicts that the Media, Entertainment, Health, Manufacturing, Automotive and Energy sectors will be transformed immensely in the roll-out of 5G networks globally by 2020. African brands have the opportunity to take advantage of the increased capabilities that 5G promises and to take the lead in this digitally driven, socio-economic and business transformation that continues to evolve across the globe. Read more. . . . . . 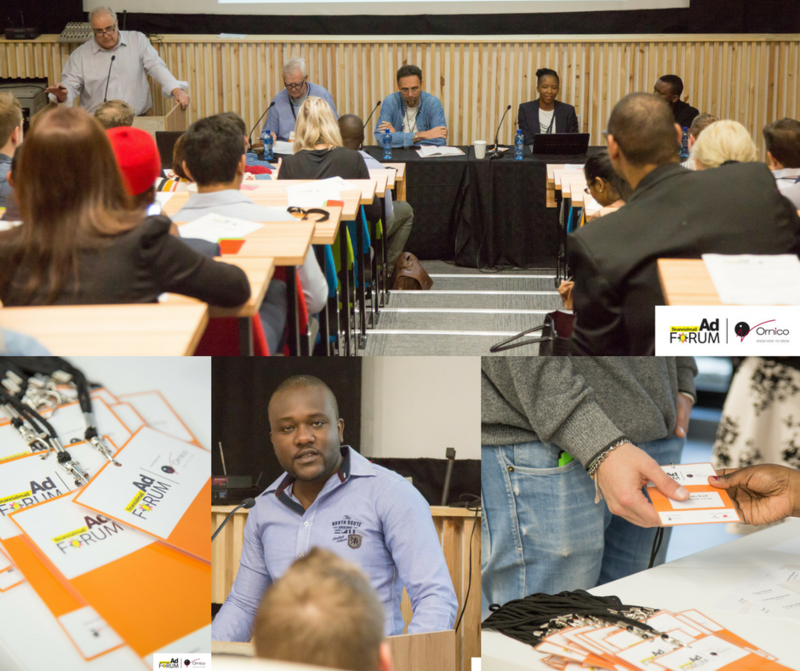 Taking stock of financial services advertising was the focus of the Financial Mail AdForum, which took place at the Vega School in Johannesburg, in association with Ornico. Ads that stand out in the financial services sector need to offer a human insight and a narrative that resonates and connects. Money represents our security and as such it has a powerful emotional hold over us. However, most of the ads featured in this Financial Mail AdForum were fairly rational and failed to tap into any human emotion. Read more. . . . . .
It’s a turbulent and uncertain time for the South African economy, and this is having a knock-on effect on financial services companies. In recent times alone, SA’s top five banks have been slapped with a credit ratings downgrade from ratings agency Moody’s. The country is in recession and a poor economic outlook means investor confidence is at a record low. Moody’s also recently downgraded SA’s local and foreign currency rating, citing President Jacob Zuma’s cabinet reshuffle and the reduced growth prospects for an economy that is in the grip of a recession. At the same time the agency downgraded its outlook on the rating from stable to negative. How do banks market and advertise in this uncertain environment? On June 30, at the next AdForum event, Ornico and the Financial Mail, together with a panel of industry thinkers that include Jeremy Maggs, will unpack the prevailing advertising trends among some of the leading financial services companies. According to Ornico’s Africa Brand Index, the banking industry accounts for much of the social media content among top brands in SA, primarily as a result of queries from people who engage online rather than with a branch or a contact centre. Read more about AdForum. . . . . . . The first ad under scrutiny was the latest offering from Aquafresh. It featured a typical superhero as the star and it was clear that children were the ones being targeted. While the panel agreed that the superhero association worked well in terms of communicating with the target audience, members questioned why Aquafresh had moved away from the well-entrenched legacy it has created in the pay-off line “Aquafresh does it all in one, Mum”. This featured in a rather subdued manner only at the end. It was also mentioned that the information provided in the ad was too complex to appeal to children. The consensus was that the ad did not work for the brand. Next under the microscope was Ariel’s automatic washing powder. While the testimonial format did offer a certain amount of credibility, the panel was divided about whether the ad was effective. Maseko did not find the story credible, while Rice said it used an approach associated with competitor brand Omo. Following the launch of Ornico City, Ornico’s new home in Johannesburg, Maggs On Media shared snippets on one of Africa’s leading advertising shows. Attended by guests from South Africa’s leading brands, advertising agencies and marketing companies, Ornico’s move from Sandton to inner city Johannesburg is being celebrated by throwing the doors of the heritage site open to the public. Ornico CEO, Oresti Patricios shared some key findings from the SA Social Media Landscape Report 2017 with Jeremy Maggs on the Financial Mail Redzone. Some of the findings include the increase in advertising budget that both digital agencies and brands intend to invest towards Facebook. It is surprising for Patricios for that other leading platforms such as Twitter and LinkedIn lag behind in terms of advertising spend that brands want to put into campaigns. Read more. The definitive guide to business, branding and marketing in Africa. Brought to you by Ornico in partnership with The Gordon Institute of Business Science at The University of Pretoria.Read more. Ornico analysed the highly competitive banking industry in Kenya, Nigeria and South Africa – from 1-20 February 2016. The African banking sector has some of the most active social media communities in Africa, with some of the most engaged influencers across the social web. Read more. The Nigerian telecommunications industry is highly active on social media, with thousands of engaged customers voicing their opinions of each brand. Ornico analysed the entire Nigerian telecommunications industry on social media from August to October, with headline findings presented in this research report. Read more. 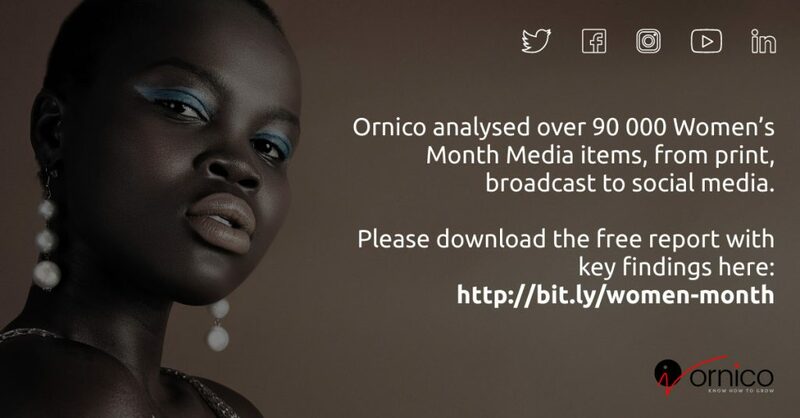 Brand intelligence company, Ornico, today announced the October 2015 results of the Africa Brand Index. This benchmark, powered by Fuseware technology, ranks over 500 of Africa’s top brands in South Africa, Nigeria and Kenya. Read more. In the second episode of BrandLand, the monthly media and marketing podcast published by Ornico, Mongezi Mtati – who hosts the podcast for the brand intelligence company – speaks to DStv’s Sales and Marketing Director, Fahmeeda Cassim-Surtee, about why Supersport is a social media powerhouse. Read more. Ornico and Columinate are launching AD360© – a unique and first-of-its-kind collaboration that will give advertisers and brands better, faster and more cost-effective insights into their marketing campaigns’ performance relative to their competitors. Read more. Brands in Africa can now accurately and effectively measure social media reach and engagement using Ornico’s Africa Brand Index, which is powered by Fuseware. Read more.